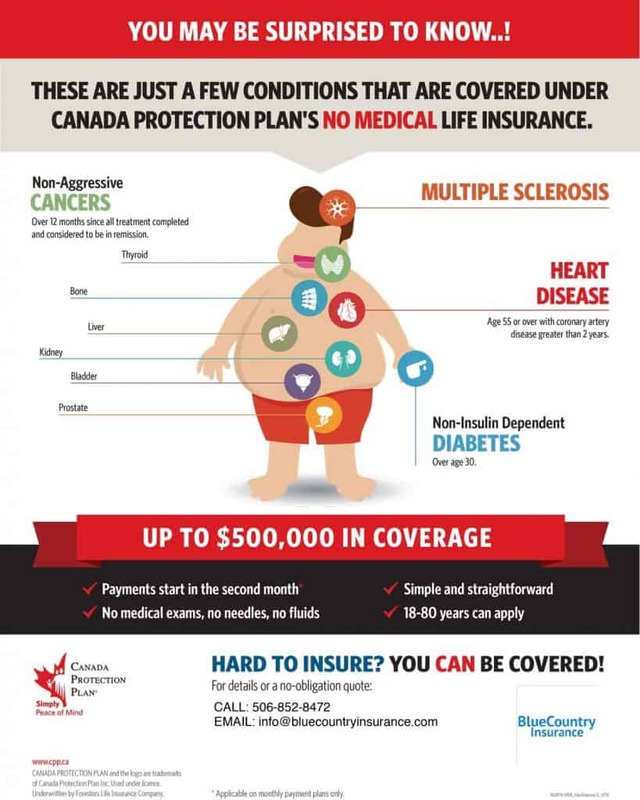 No Medical Life Insurance Canada Protect your loved ones! No medical life insurance does not require you to undergo a medical exam. You simply answer some health and lifestyle related questions to qualify. Car, mortgage, home – these are items in our life that we automatically protect from damage or loss. While most ensure these material things are protected many people still neglect a major element in terms of insurance: life. No Medical life insurance ensures you have peace of mind in knowing your family will not have to worry about the cost of final expenses should something happen to you. No medical life insurance is a type of life insurance policy that you can buy without having to undergo a medical examination. All that is required is to answer some health-related questions. Many people prefer this kind of life insurance because it is easier and less time-consuming to get. So if do not want to visit the doctor, do not enjoy needles and tests or if you have a current health condition which you think may affect your chances of being covered, a no medical life insurance plan may be the perfect choice for you. No medical exam life insurance is particularly suitable for people who were declined life insurance in the past or may have pre-existing health conditions. No medical life insurance plans such as those from Medavie Blue Cross, Canada Protection Plan, and others, provide coverage where your policy payout is 100% tax-free. Your payout can be used to cover expenses such as funeral costs, medical bills, education, loans, or debts. 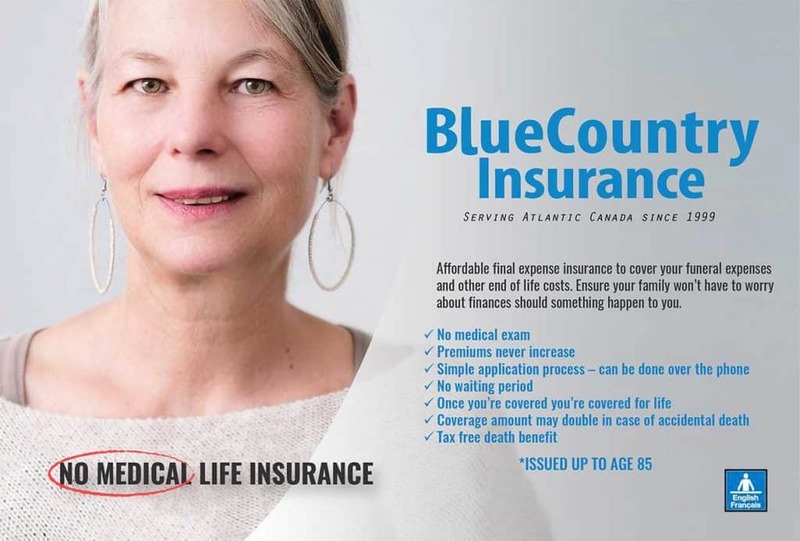 The Medavie Blue Cross easy preferred access plans offer coverage amounts up to $35,000. 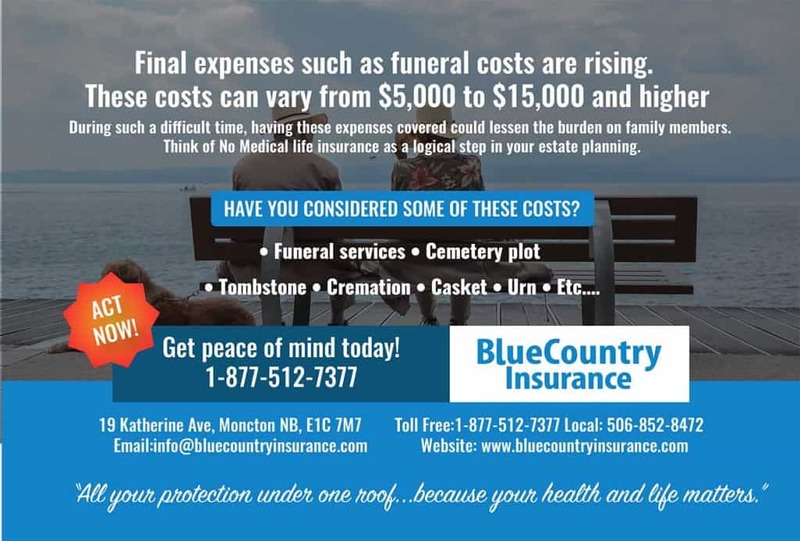 Should you require additional coverage, Canada Protection plan offers the largest amounts of No Medical Life Insurance, coverage up to $500,000. Coverage amounts guaranteed for the duration of your policy and will never be reduced. does not require a medical examination by a doctor but does require you to answer some health-related questions. When you apply for simplified issue life insurance, you will be asked questions about yourself, including if you have been diagnosed with any serious illnesses, if you have been hospitalized and/or if you have declined for life insurance in the past. Simplified Issue life insurance can be bought as either whole life or term policies. does not require a medical examination and there are no health-related questions, but you may be limited to a lower level of coverage. It is available to everyone, even if you have been declined life insurance within the last 2 years. However, some payout restrictions may apply during the first two years. In what circumstances would I be denied for No Medical Insurance? With no medical life insurance, you are asked a series of questions about your health but there is no medical exam involved. Because of this, insurance companies are using limited information to set your premium, so there are fewer circumstances that could lead to you being denied coverage. The most common reason for being denied no medical life insurance is if you are older than the maximum issue age. Typically, no medical life insurance is offered up to age 75 or 85 depending on the product. What if I was declined life insurance in the past? If you were declined life insurance in the past, you can still qualify for coverage that pays out immediately or that is deferred during the first two years. No medical life insurance policies take on more risk than conventional life insurance policies. As a result, some may require a minimum of 2 years before paying out the full amount. This is referred to as a deferred plan. Critical illness provides a tax-free lump-sum payment if you are diagnosed with one of the specified life-threatening conditions as covered by the policy. Examples of such conditions are heart attack, stroke, cancer and multiple sclerosis to name a few. As an insurance broker, we have access to a number of insurers including Medavie Blue Cross and Canada Protection Plan to name a few. We work with you to ensure you have the best coverage available for you and your loved ones at a cost that is affordable to you. Get peace of mind now……contact us and we will provide you with a free no obligation quote and answer any questions you may have.